EXCELLENT LOCATION….walking distance to downtown. Charming Edwardian style in the desirable inner city of Rosedale. The one and half story home features 9 foot ceiling on the main floor and extensive wood finishing throughout the home. A family room was added in the late 70’s along with kitchen renovation and an enclosed front porch. The family room also offers a wood burning fireplace and open beam ceiling. The kitchen has a walk-in pantry and island nook breakfast area with patio doors leading to the deck. The backyard garden is a private retreat with beautiful perennial plants and mature trees. A tall and extra-long HUGE OVERSIZED 26X20 double garage , with ample of storage and two windows, was added in 2000. The ally way is paved! 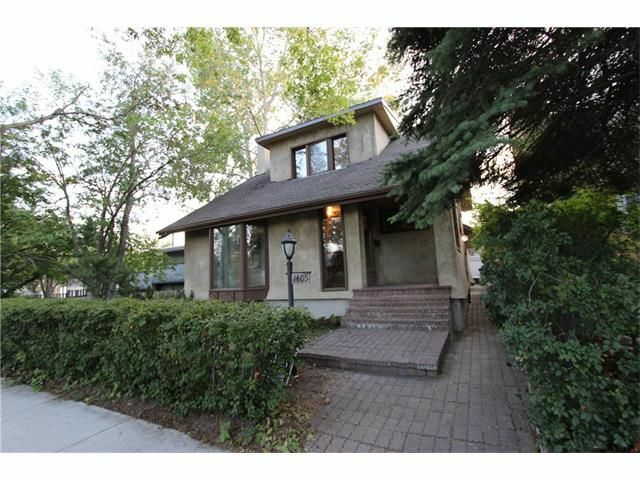 Great inner city investment property or build your dream home!! !